It’s no secret that we LOVE a fancy dessert table around here. And while we want all the glitz and glam of fancy, we want none of the cost. 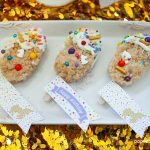 Which is why we are showcasing our most budget friendly treat to date: these Unicorn Party sweet treats. 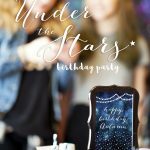 I am absolutely in LOVE with how our Under the Stars 15th Birthday party turned out! 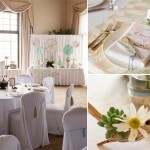 From the lighted backdrop to the gold rimmed dishes, everything was just perfect. And that even includes the teenagers that came to celebrate together! Hold on to your hats ladies and gentlemen… we have some MAJOR sparkle to share with you! 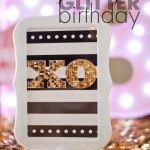 This brand new Pink and Gold Glitter Birthday party collection is full of perfectly glittery decorations – without using any actual glitter. You heard right… NO glitter required!